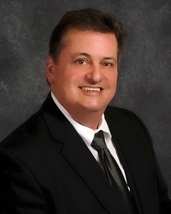 With more than 30 years of mortgage lending experience in the Will County Area, A.J. likely has done a mortgage loan for one of your friends or family members. With his experience and dedication, A.J.’s goal is to make the homebuying process as smooth and hassle free as possible. A.J. is excited to be doing what he loves best – finding the right mortgage product to fit the needs of his clients. He strives to make every customer a customer for life. Visit A.J.’s office or call with any mortgage financing questions you may have. If you’re not buying or refinancing, feel free to send him an email so he can keep you abreast of changes in the industry.